Having a proper hunting backpack is always a top priority when embarking on hunting or hiking trips,and traditional backpacks just do not make the required cut. These pack have limited capacity and lack options. Hunting day packs are the best choice for everyone wanting to have a great hunting experience, whether beginner or pro. This Tenzing TZ 2220 pack review will outline the qualities and advantages this backpack has over most brands available in the market, and it falls within a decent and affordable price bracket. This backpack provides possibly the best in terms of design, quality and durability within this price range. The storage capacity is over 2220 cubic inches, which is enough for hunting trips of both short and longer durations. It weighs about just 4 pounds and hence is very lightweight. Eleven individually specialized compartments are available for storing different accessories with the advantage of attaching additional gear. Also, the “Advanced Pack” supplied can be customized to one’s liking and needs on demand. The durability of this backpack far exceeds most daypacks in the same category. The strength is obtained by the internal inbuilt frame stay made of aluminum combined with Dyneema fibers, which is supposedly the world’s strongest yet most lightweight (can float on water) fiber. The hip support is padded, aiding in the distribution of weight on the hips and the back contains perforated back pads which helps in a hot and sweaty environment. It goes without saying how important it is for a hunter to have an additional storage for their weapons on their backpacks. Not only does this allow for easy movement, but it also reduces overall stress. 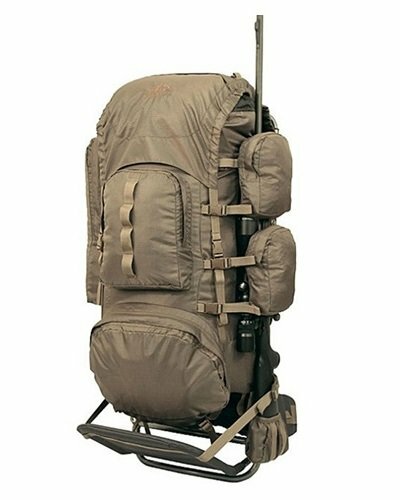 The Tenzing TZ 2220 pack has the required design to incorporate features to carry a primary gun and also a bow and arrows in the foldout provided on the front of the backpack. It is easy to strap up the weapons, and it is also easy to remove them. Hydration bottle attachments are the second most important feature of a hunting backpack. While taking short trips one can do with a small water supply, but for longer trips it is good to have space to carry larger hydration packs. Though this backpack does not come with an inbuilt hydration pack, it has the advantage of a dedicated compartment that can hold a 2 liter hydration pack with ease. This is convenient and also offers a lot of flexibility. Hunting or hiking professionals know that weather can be unpredictable and so can the environment. Purchasing a rain cover is very important for any hunting pack, since wet accessories can cause problems. Electrical equipment, no matter how waterproof, may get damaged. The TZ 2220 comes with a rain cover that is built-in, so no purchase is necessary. It can be used on demand and does not eat up space within the main compartments. Smart design, having 2220 cu inches of space and weighing only 4 pounds. Durable built quality using “aluminum” stay frame. Padded shoulder straps and waist straps. Some users complained about it having fewer compartments. Q) Are the straps adjustable and padded? A) Yes, the shoulder and waist straps are padded and adjustable, while straps that have no direct body contact are not padded. Q) Is the backpack silent? A) Yes, the zips and straps are built with quality materials to reduce noise wherever possible. Q) Can it withstand rugged usage? A) This day pack is built to withstand rugged usage. This Tenzing TZ 2220 Review gave a short review of what this heavy duty backpack can do. Users have been greatly satisfied with its performance and thus the fan following has been great for this product. 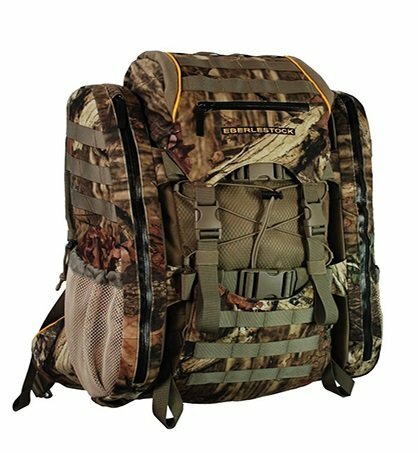 One can use this pack for both hunting trips and hiking purposes. Being lightweight, flexible and built with some of the best quality materials, this day pack offers comfort and lots of advantages over what traditional backpacks are currently offering in the market. If you are serious about any kind of field trip, this may be the perfect pack. Tenzing 2220 Pack Review. I bought this pack for my first Elk Hunting Trip. I also am hunting more Public Land for whitetail deer this year so I needed a bigger pack to carry my camera gear better. 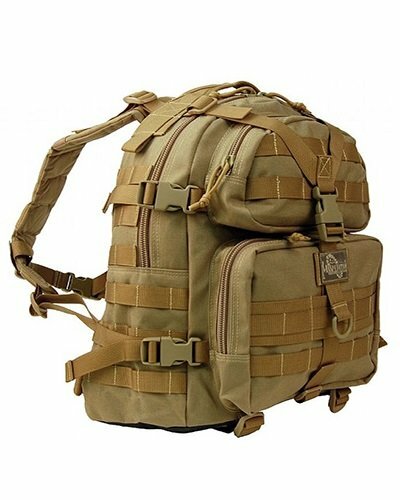 What made me choose this pack over other packs was all the compartments and the capableness of carrying your weapon. The side compartments make regular used items easily accessible (Ranch Finder, Calls, Etc). Some cons I found about the pack is that it doesn’t carry weight very well. The weight is heavy loaded on your shoulders. I have loaded the pack with 30 lbs and the weight and the it carried alright, but when loaded with 60 lbs this pack did not carry well. With carrying the pack, I found that the straps slip a lot and I have to readjust a lot. Additional Cons were the zippers on my side compartments were installed in the wrong direction. Overall the pack function well with about 25 lbs and less, very roomy and it compartmentalizes your gear very well. I would this Pack a 3 out of 5 because of the slippage on the straps.